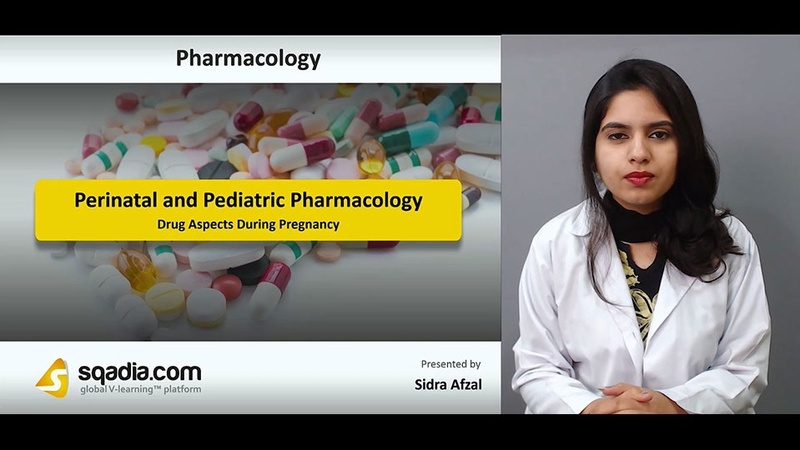 This lecture is devoted towards an explanation of Perinatal and Pediatric Pharmacology. Sections one aims at discussing about various Drug Aspects During Pregnancy. In the beginning, the educator has stated certain Aspects of Drug Therapy During Pregnancy. This is followed by a dialogue on the Access of the Drug to the Fetus. In addition to this, Lipid solubility alongside Molecular Size has been shed light on. Furthermore, Protein Binding and Placental/Fetal drug metabolism has been reported. The educator moves on to speak about the Pharmacodynamic Aspects of Drug Action on Fetus followed by an extensive debate on Maternal Drug Action. Moving further, Therapeutic Action on Fetus and Toxic Action on Fetus has been portrayed. This section concludes when the educator talks about Teratogenic Action of Specific Agents and Teratogenic Drug Effects, respectively. The focal point of section two is the Effects of Drugs on Lactating Mother. The educator commenced by describing the Effect of Drug Administration to Lactating Mother. This is subsequently followed by a discussion on Drugs Affecting Lactation, in tabular form. Moreover, Drug Conc in Breast Milk and Drug Excretion in Human Breast Milk has been put forward. Later on, the educator has highlighted the significance of Management of Drug Exposure in Breastfed Infant. Additionally, Drug Conc. in Breast Milk has been brought into consideration. The educator then wrapped up this section by conversing about the Pharmacodynamics of Drug Ingested in Breast Milk. Section three aims at exploring about the Drug Use in Infants and Children. 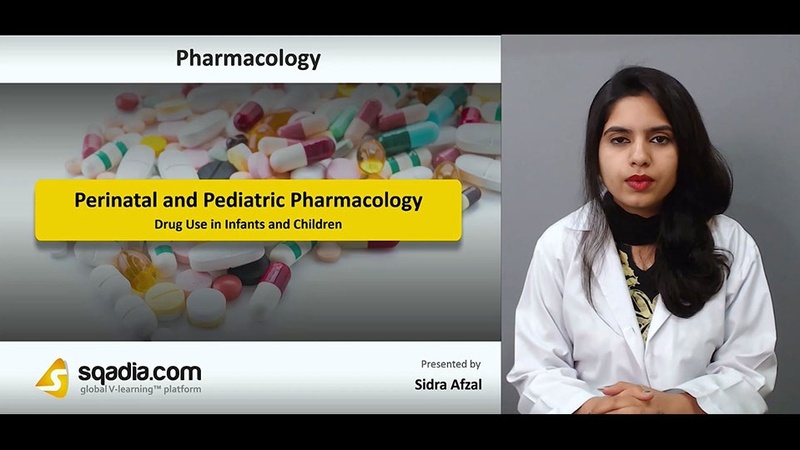 The educator starts off by elaborately mentioning about Therapeutic Use of Drugs in Infants and Children succeeded by a mention of Drug Absorption in Infants and Children. Besides this, Local Factors and Drug Related Factors have been narrated in the lecture. 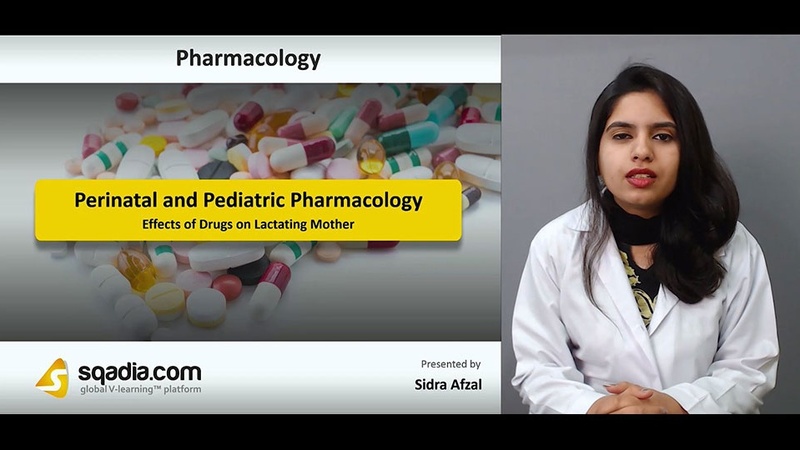 Along with this, the educator has extensively spoken about Oral Drug Absorption in Neonates Vs Older Children, Rectal Administration of Drugs and Drug Distribution In Infants And Children, under separate heads covering each and every dimension of the topic. Apart from this, Drug Dosage in Infants and Children alongside Special Dosage Forms has been accommodated. 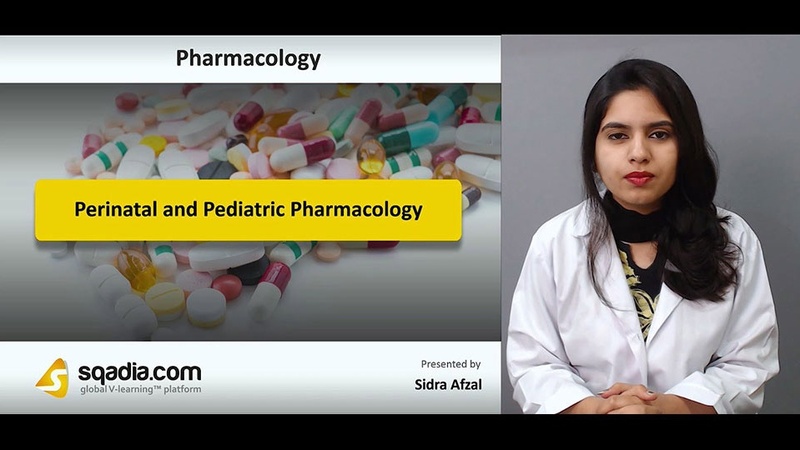 The educator then defines the term Patient Compliance and underlines the method employed for the Calculation of Pediatric Drug Dosage. Ultimately, the section is winded up by alluding to the Therapeutic Drug Monitoring and FDA Approval and Safety Assurance, individually.